A Rhode Island state police dog is now safer on the job, thanks to a bullet-resistant vest donated by a charity group. 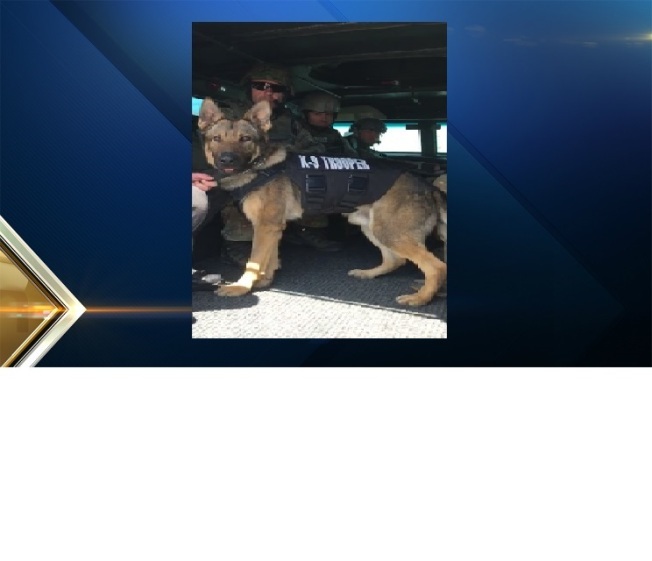 The 3-year-old German shepherd named Riggs recently received the vest from Vested Interest in K9s, Inc., a nonprofit group based in Taunton, Massachusetts. An anonymous sponsor also provided funding for the vest. Trooper Justin Andreozzi has been partnered with Riggs. They both successfully completed a 16-week patrol service dog training. Andreozzi and Riggs will be one of seven dual-purpose teams to join the ranks of the Rhode Island State Police Canine Unit upon completion of narcotic detection program. Vested Interest in K9s has provided more than 1,900 protective vests for dogs across the country since 2009. Each vest costs $950 and has a five-year warranty.